Harley-Davidson is working on a new liquid-cooled engine that is expected to power a range of new middleweight models including the production versions of the Harley-Davidson Pan America adventure tourer, Harley-Davidson Custom 1250 and the Harley-Davidson Streetfighter. 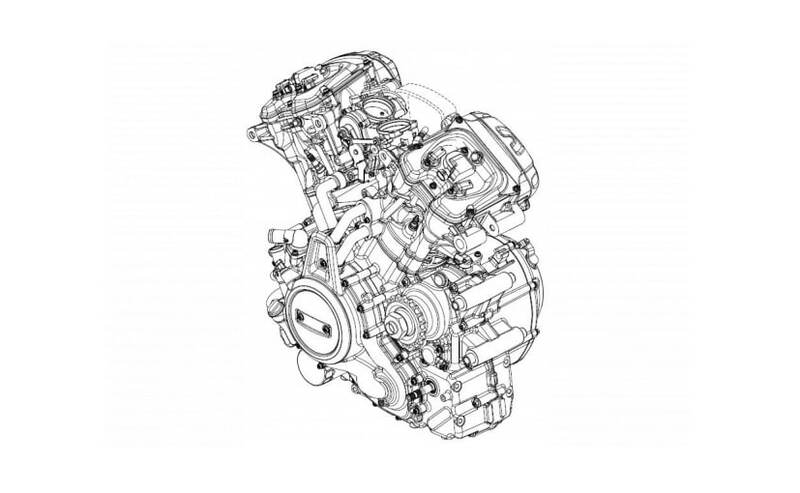 The engine designs filed with the European Union Intellectual Property Office reveals quite a few details about the new engine, which is expected to be used in several new models to be launched between 2020 and 2022. The new engine will be a 60-degree v-twin which will be fully liquid-cooled, with a compact crankcase and transmission. The design images of the new engine shows mounting points behind the transmission and on either side of the cylinder heads, and the concept designs of the upcoming models also suggested that the engine will act as a stressed member of the chassis. 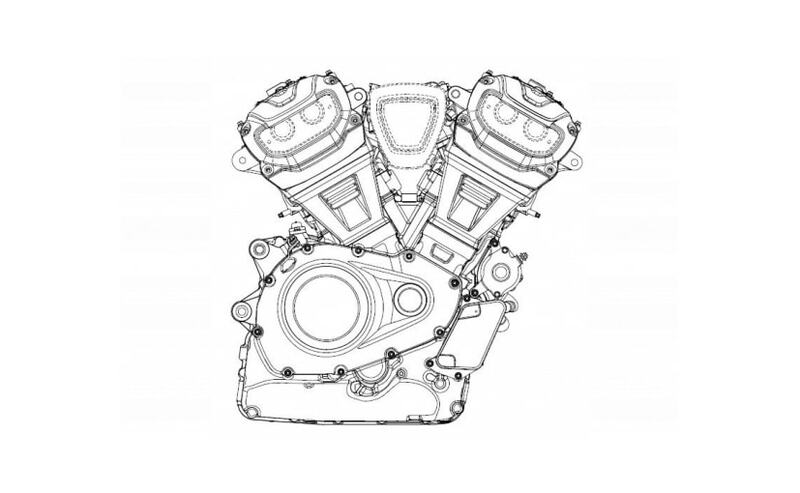 The latest design images don’t indicate any engine displacement, but Harley-Davidson has already announced that engine sizes will vary from 500 cc to 1250 cc. But these lack the traditional pushrods and will have double overhead cams. The original concept images of the upcoming Harley-Davidson models reveal that the engines on each model are slightly different. The Custom 1250 had different coloured covers for the heads for a two-toned effect. The Streetfighter 975 also had a two-toned engine but with a difference in colours. The latest design filings are a mix of the engine types seen on the concept images. 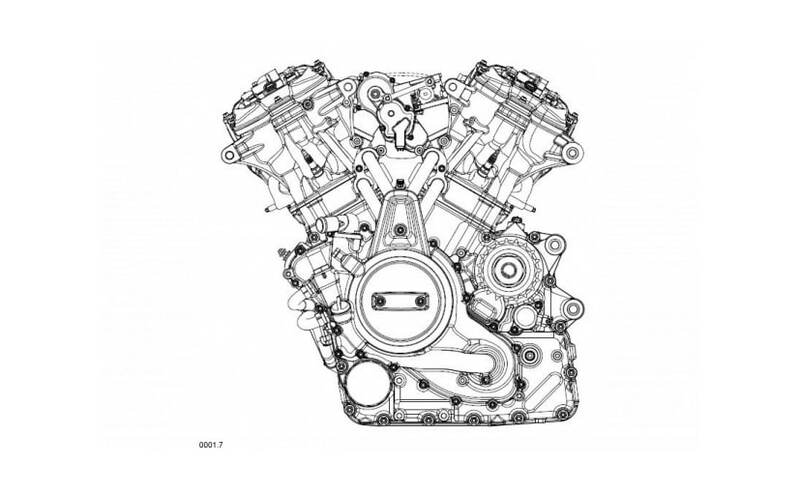 The head covers and cylinder covers are all separate pieces on the engine design images. At least three new models, showcased as concept images, will be launched in the next few years. First up, will be the Harley-Davidson Pan America adventure tourer, which will likely be launched in 2020, as a 2021 model. Next up will be the Streetfighter, which is expected sometime later, followed by the Custom 1250.